Love the Grand National? You're not alone. The biggest, most famous, steeplechase in the world. It is one of just a handful of races which the everyday punter looks to place a bet. Four long miles, two furlongs, two circuits and finish that still reminds race fans that you haven't won until you cross the line. To this day I can still see Red Rum chasing down the weight-burdened Crisp in the shadow of the post. This race is built on emotions: blood, sweat and tears. Fate, fortune, twists and turns, dotted with formidable jumps which man nor beast want to depart. With millions of TV viewers from across the world and wheelbarrow loads of money on the result it is a race which few are their to make up the numbers. Even horses with seemingly little chance have proven even horse has its day. Remember 1967 when Foinavon not only won a race at 100/1 but had a fence name after his because sometime you just need a little bit of luck. The Grand National has always been a race owners, trainers, jockeys and punters want to win. With prize money worth over £1m those to hit the frame especially the winner taking £500,000 it is a day to remember and be part of the history of the great steeplechase of them all. Who doesn't like a bet on the Grand National. Whether you are a big player or bet 50p each-way we all have the ethos of saying: ''Winning is winning''. When you consider the horses which have won the Grand National there is not real logic to the result. When four favourites have won in the last 20 years and five horses have won at odds of 100/1 in the history of this great race you may fancy a bet. At the time of writing, let's review the ante-post market. Let's take a look at the Grand National Betting Guide. Blaklion trained by Nigel Twiston-Davies. Total Recall has been very well backed for Willie Mullins for the Slaneyville Syndicate. This son of Westerner is the type to hold each-way claims. 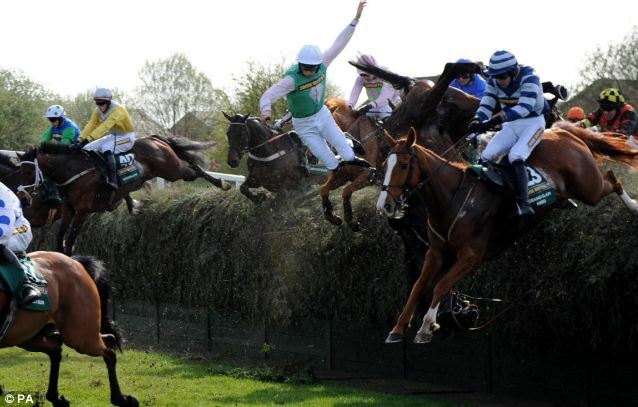 It's worth noting that favourite are not known for their luck at this course with a number falling at the first fence. A price range which has proved positive for winners over the years. Let's take a look at a few of the major fancies. Balla Briggs (2011) & One For Arthur (2017) both won at 14/1. Definitely Red had a disaster last year when hampered and pulled-up. Brian Ellison will be hoping for some luck this time round. Cause Of Causes went well in fourth place in 2017. This gelding is worthy of respect for Gordon Elliot. Gold Present, Minella Rocco & The Last Samuri. Anibale Fly is an Irish raider for Tony Martin. He needs to find his confidence after falling Leopardtown. Other horses in this price bracket include Gas Line Boy, Ucello Conti, Vicente & Bellshill. Good luck to all who bet. Ante-post Betting: Blaklion 10/1, Total Recall 11/1, Cause Of Causes 16/1, The Last Samuri 16/1, Definitely Red 20/1, Gold Present 20/1, Minella Rocco, Anibale Fly 25/1. 33/1 Bar.